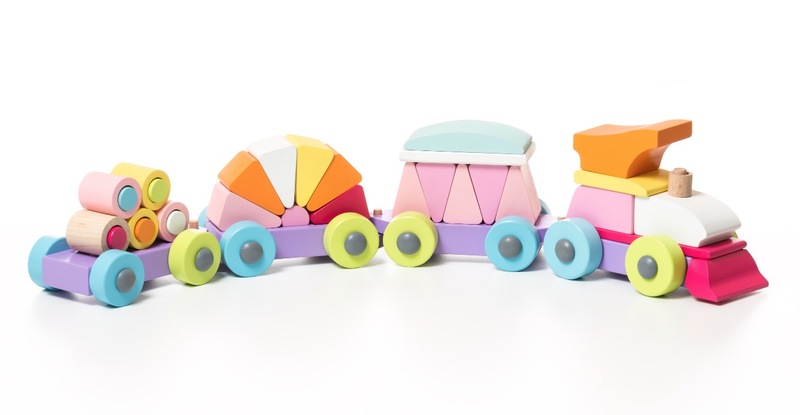 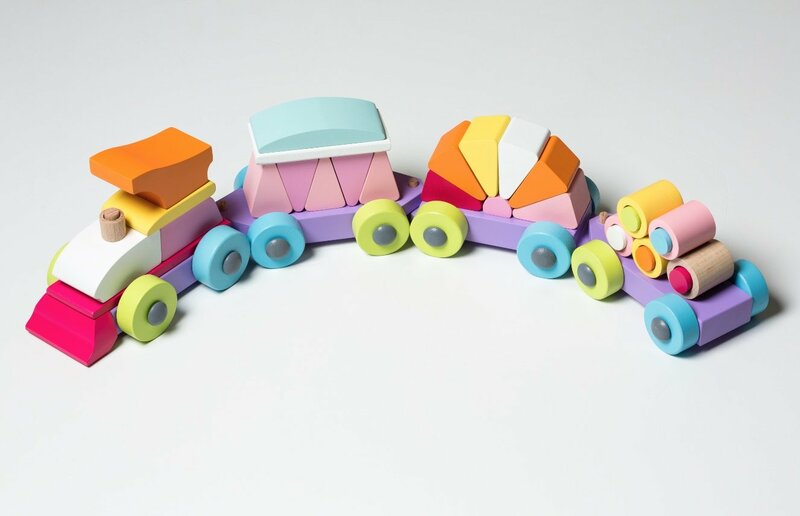 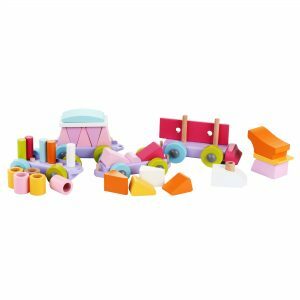 An engine and 3 train cars stacked full with wooden blocks of different shapes, colors and sizes. 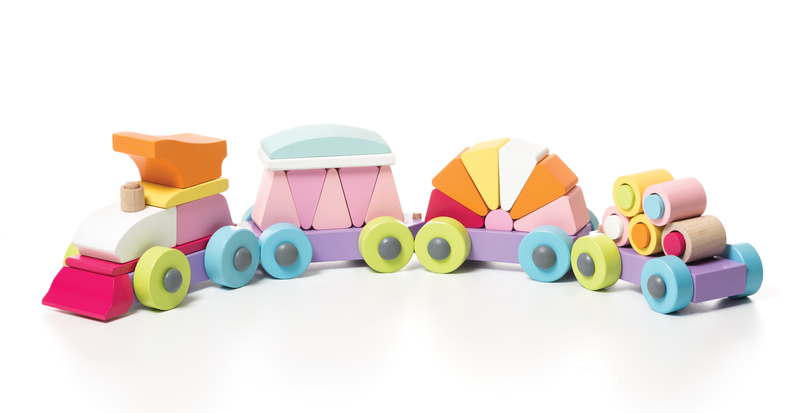 The train develops imagination, develops fine motors skills and logic and guarantees hours of exciting play! 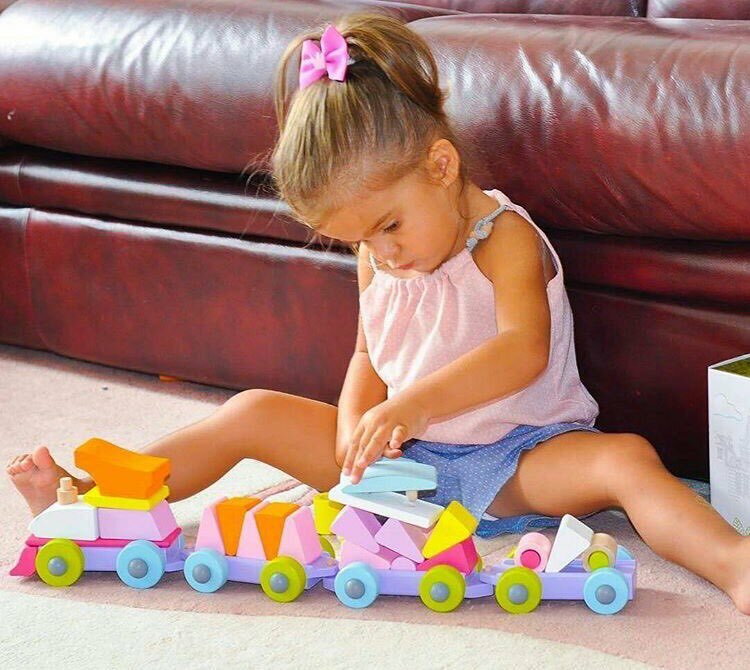 Magnets built in train cars help to hold the blocks safely while the train moves.